﻿ Pahiño: "94 million euros for Cristiano Ronaldo was a cheap price"
19.11.2011 » Pahiño: "94 million euros for Cristiano Ronaldo was a cheap price"
In the Summer of 2009, Cristiano Ronaldo got transferred from Manchester United to Real Madrid for a world-record transfer fee of 94 million euros (80 million pounds / 132 million US dollars). The two times "Pichichi" winner and one of Real Madrid all-time legends, Pahiño, claimed that Cristiano Ronaldo transfer price in 2009 turned out to be a bargain. Manuel Fernández, also known as Pahiño, is currently 87 years old and is a former Real Madrid player who won the "Pichichi" trophy twice. Pahiño defended Cristiano Ronaldo and assured that the Portuguese player transfer deal made in 2009 (94 million euros), that led him to move from Manchester to Madrid, was actually set at a very cheap price tag. Pahiño also had a few remarks on Barcelona's Lionel Messi, who he called a "ratón" (mouse) and said to be a good player, but not at Cristiano Ronaldo's level. Pahiño is one of Cristiano Ronaldo's biggest fans. The 87-years old former striker had 124 appearences for Real Madrid, from which he scored 108 goals, between 1948 and 1953. 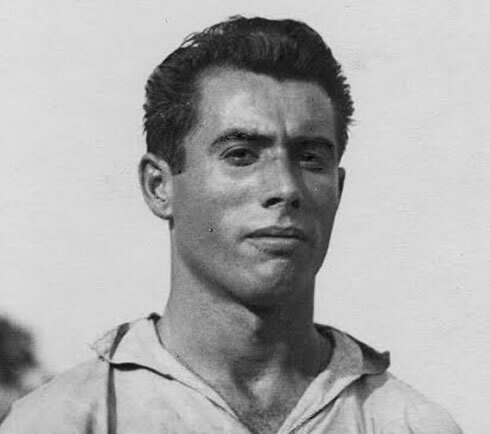 He won the "Pichichi" trophy (which awards the top goalscorer in the Spanish League) twice, in 1947-48, while still playing for Celta de Vigo and in 1951-52, already in Real Madrid. At the Spanish the National Team, Pahiño had 3 career appearences and 3 goals. Pahiño: "Watching Real Madrid playing is a delight for the eyes, but who I like the most is Cristiano Ronaldo. When people tell me that the "ratón" ("mouse" [Lionel Messi]) is the best there is, I just turn my back because it gets on my nerves. Messi is good, but he's not the best in the World. Cristiano Ronaldo is the best player in the World! ", claimed Pahiño when sharing his view on the matter and just before extending his analysis. Pahiño: "When my friends told me that spending 94 million euros (80 million pounds) was too much to spend on a player, I just answered them that it was a bargain and that he was going to amaze everyone in Spain. Cristiano Ronaldo is a world-class player, and he can even play with his back! ", pointed out the 87-years old former Real Madrid legendary player. Who also praised Cristiano Ronaldo yesterday was Paulo Bento, the Portuguese National Team coach. The manager remembered how important it is that the Portuguese people cherish CR7. Paulo Bento: "I believe that Cristiano Ronaldo will beat every record there is. We should cherish him everytime he plays with the Portuguese National Team. I have a tremendous pride to have the opportunity to train all the players in the Portuguese National Team, but obviously I'm delighted to count with a player that has the professionalism and quality that Cristiano Ronaldo has." On a side-note, this Thursday Cristiano Ronaldo and Irina Shayk attended "Marie Claire" gala awards ceremony, in Madrid. According to a Spanish magazine, "Vanitatis.com", the couple was a bit distant from the other guests and the media didn't lose time to accuse Ronaldo and Irina from being arrogant and haughty. Vanitatis reported that CR7 refused to take photos with some of the guests, spent most of the time playing with his mobile phone and that the couple kept whispering during the ceremony. The list of flaws and accusations go on, but this is just another proof of how nit-picking the media and the press can be. We'll leave you with a few photos from the event. Cristiano Ronaldo next game with Real Madrid is against Valencia, for "La Liga", in the 19th of November 2011. Real Madrid assistant coach, Aitor Karanka, assured this Friday that Cristiano Ronaldo is fit for the game, even though he was forced to miss one practice session, earlier this week. You can watch Juventus live stream, Valencia vs Real Madrid in our football live streams section this Saturday.